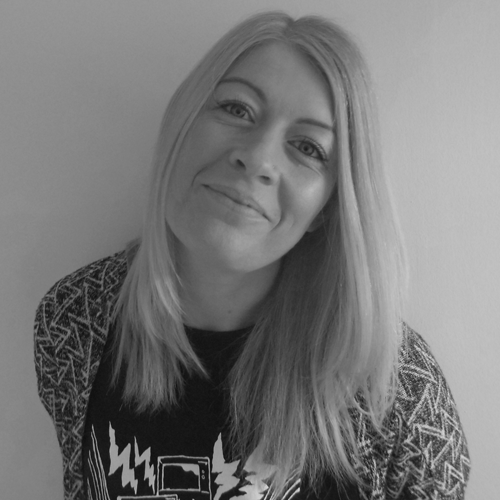 Andrea Mackintosh is a relative newcomer to DJing, only taking up the sport in 2014, but advancing her skills so far in such a short space of time she’s now supporting acts including Dave Clarke, Kenny Larkin and Funk D’Void. However, her love of electronic music spans further back in time. Her teenage years were heavily influenced by 808 State, LFO, Orbital, and bands like the Pixies and Nirvana. John Peel was hugely instrumental introducing this techno head to her future heroes, namely Jeff Mills, Dave Clarke and Richard D James in all his wonderful guises. In the early 90’s Andrea bought loads of vinyl, often taking these to parties for DJ friends to play ………… because at this stage the crazy raver she is was more interested in dancing! She developed a local reputation for having a mean record and mix tape collection and the family home regularly became a hang out for local music heads. Later, moving to Edinburgh to graduate as a nurse, she frequented legendary clubs Pure, Dogma and Manga, but becoming a mother seen her clubbing activities become less frequent, eventually returning to Inverness in 2010 to lead the quiet life ………………… well that wasn’t gonna last long was it. In 2013 the crazy raver teamed up with partner Johnny Wilson, someone who shared the same tastes and passions for music. This commonality, along with discovering the marked difference in what was on offer in terms of underground music and venues in their Highland capital inspired them to create their own Hypnotic Grooves series on Soundcloud which showcased artists from various genres of electronic music, a digital label followed soon after. Fnoob Techno Radio homed in and recruited Andrea for her own monthly show Hypnotic Sessions which has become hugely popular. Not only starring on her own show but on many others too, she now co-hosts Hypnotic Groove club nights with Andrea sharing regular resident duties. Currently influenced by artists like Paula Temple, Violet and Truss you can bet it will be one riot of a journey she’ll take you on.